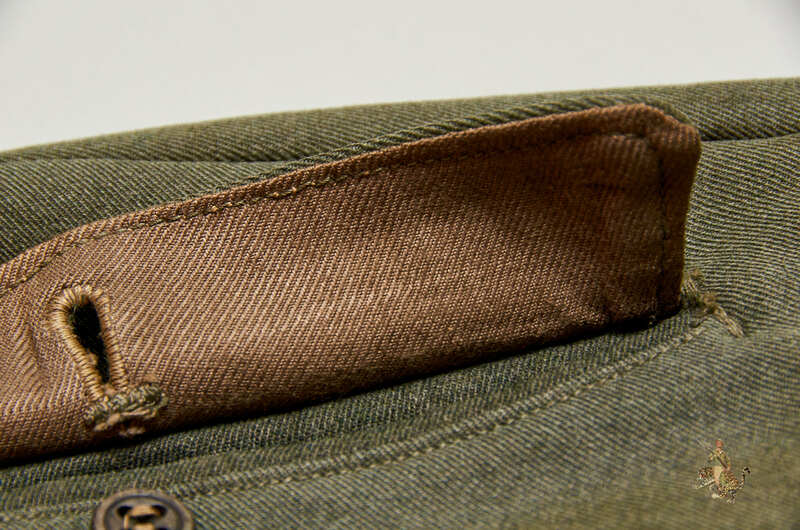 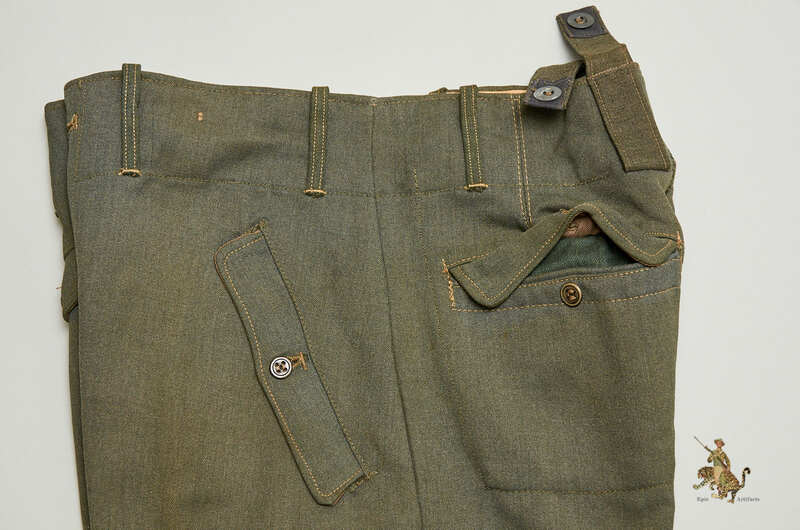 Product Description: This is a gorgeous pair of late-war Heer M44 trousers, showing honest wear. 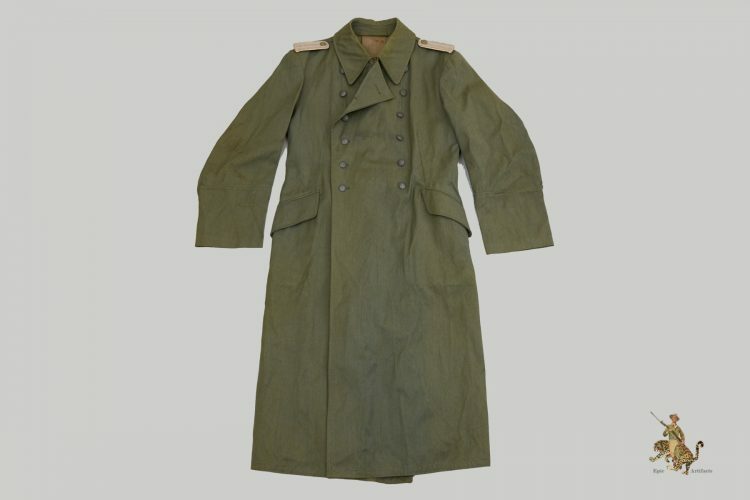 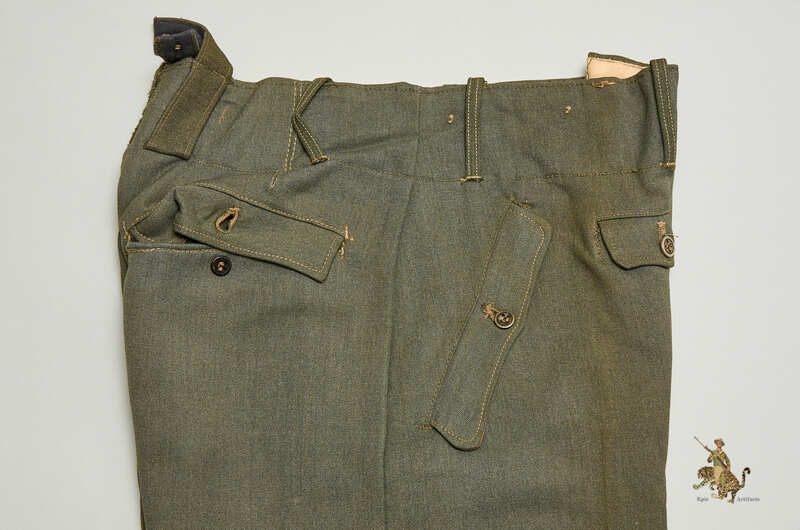 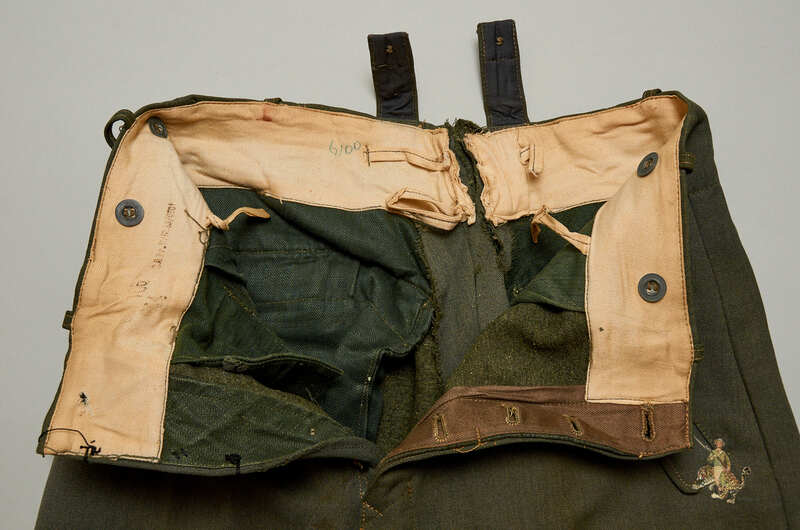 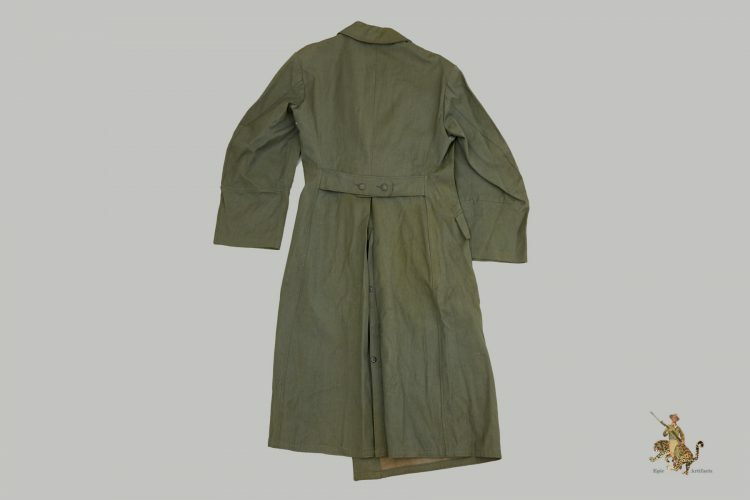 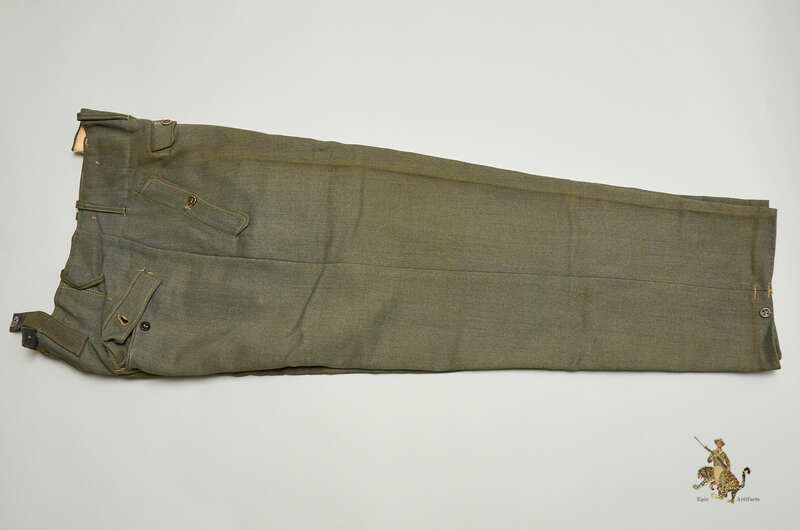 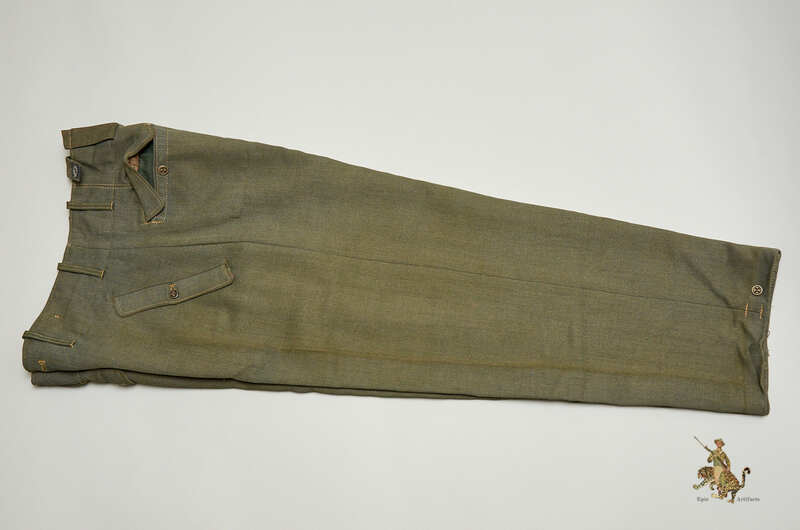 This model of trousers has flapped pockets, which were intended to help make up for the lack of bottom pockets on the M44 tunic that was introduced at the same time. 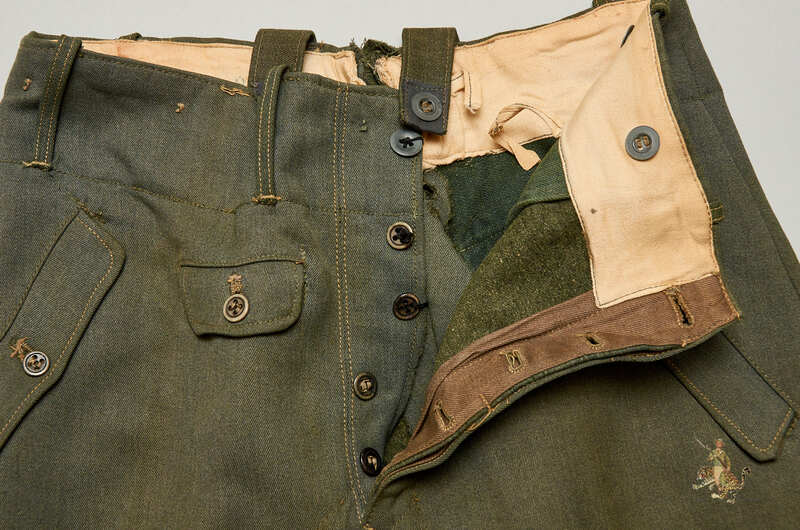 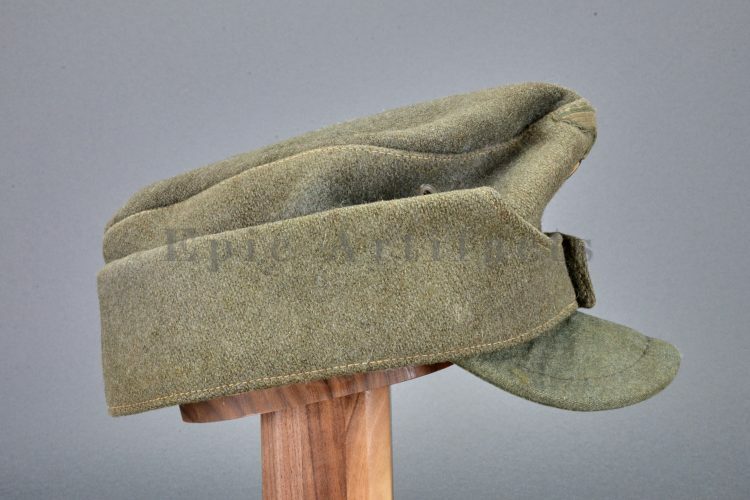 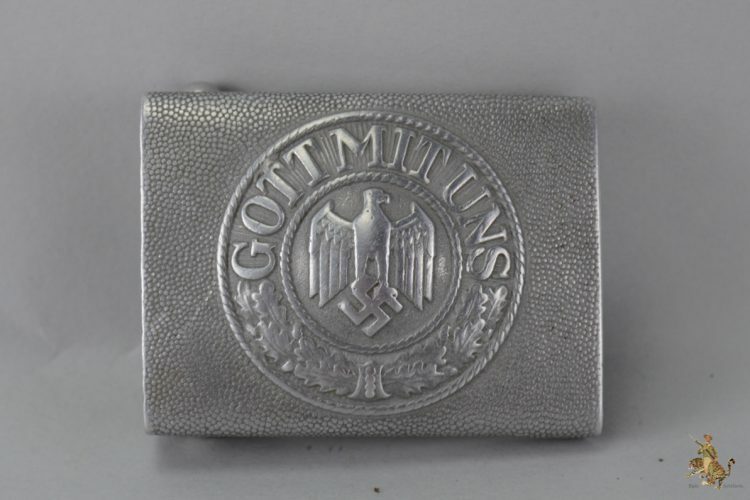 This pair is made of multiple shades of captured Italian iron gabardine uniform fabric, which was used for a variety of Wehrmacht and Waffen-SS uniform items in the war’s final years. 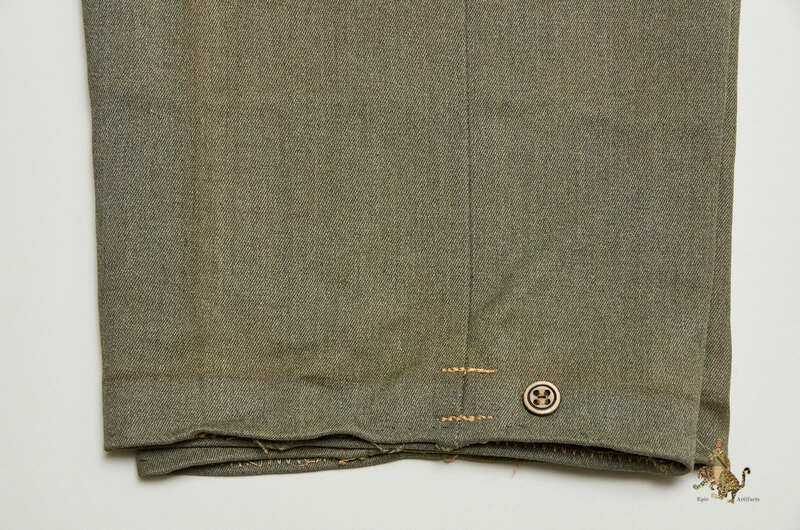 This gabardine wool is very hard-wearing and is a nicer fabric than the coarsely woven German wool of that period. 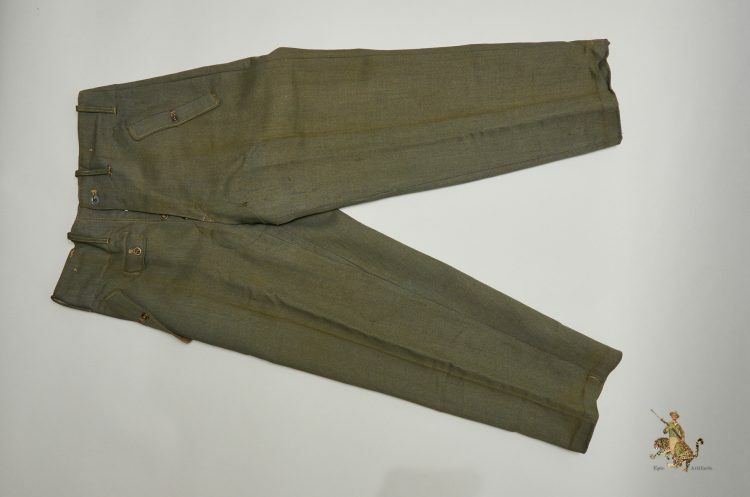 This pair of Heer M44 trousers was obviously worn, and shows typical age toning as well as some soiling and inset dust. 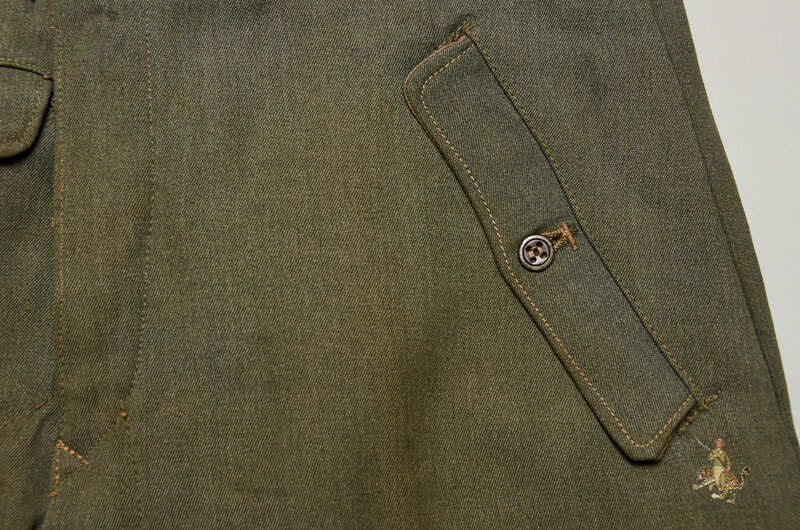 There are no stains or moth damage. 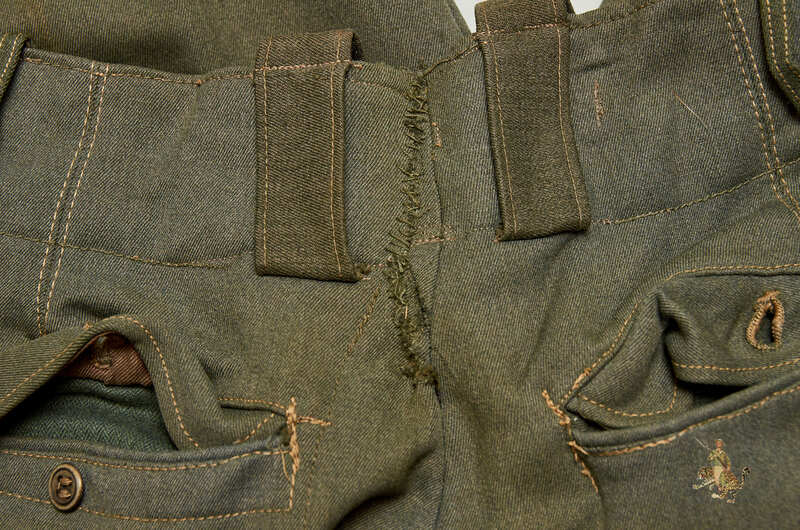 There was a tear to the upper rear area, at the waist band, that was hand repaired using field gray thread; very likely a field repair. 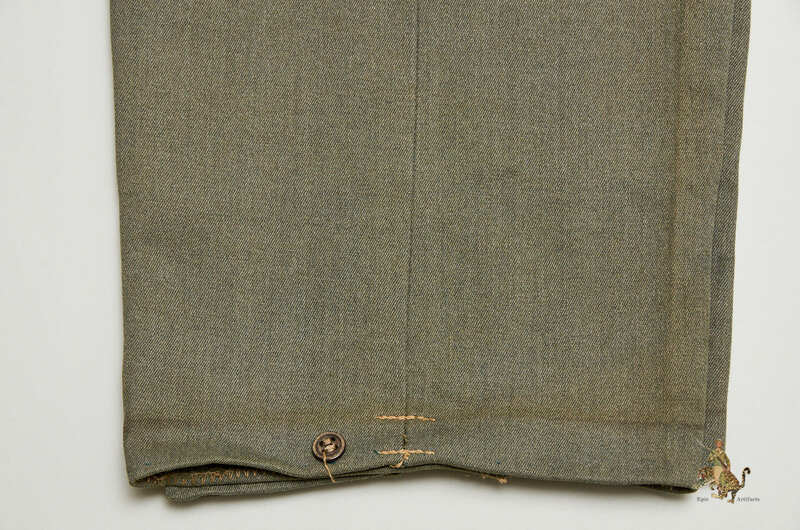 Many of the buttons show restitching, and some appear to have been replaced, as is common with field worn uniform garments. 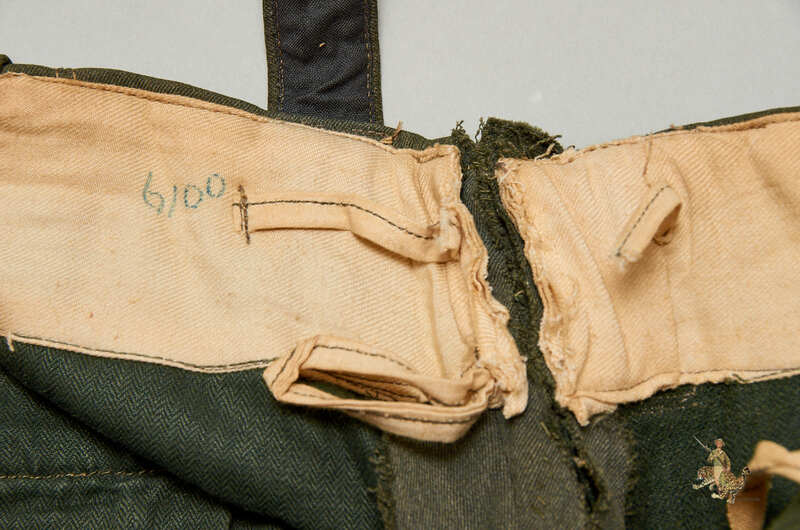 The interior shows a very interesting mixture of lining fabrics, including reed green linen HBT, likely a result of recycling scraps from manufacture of other garments. 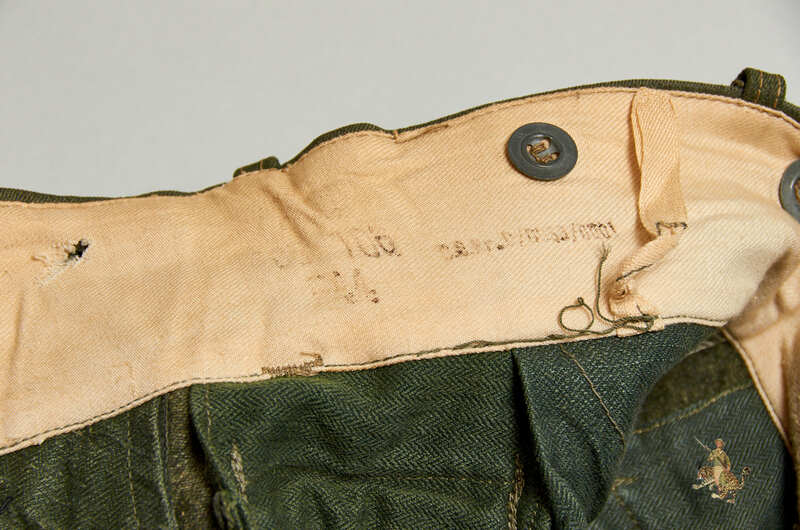 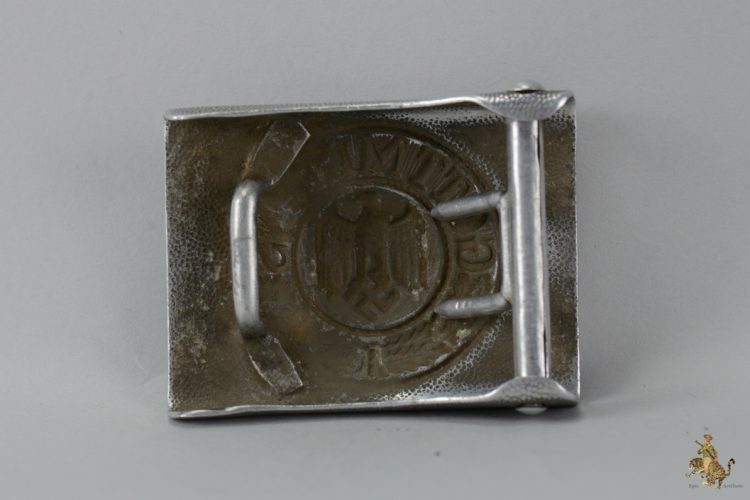 The interior of the waist band retains the original markings, with an illegible RB number manufacturer code stamped in black ink, as well as some partially faded size stamps and a depot stamp “E44” indicating acceptance at the Erfurt depot in 1944. 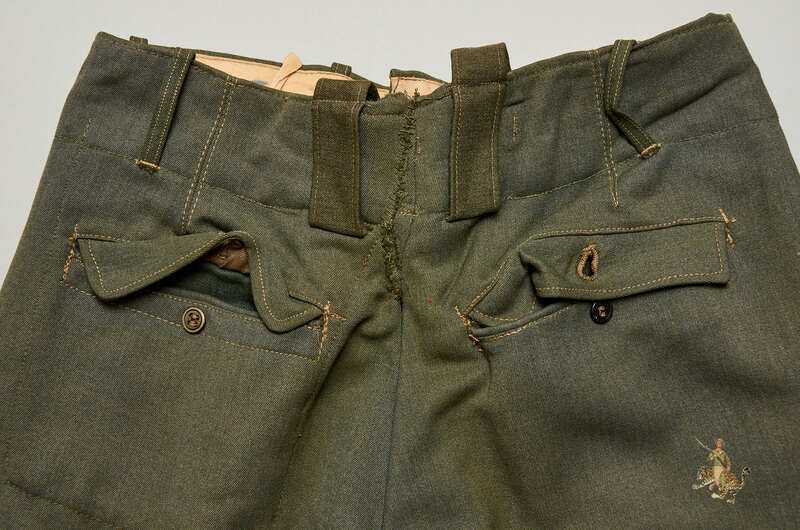 Wehrmacht trousers were worn and worn out during the clothing shortages of the postwar period, and are scarce today. 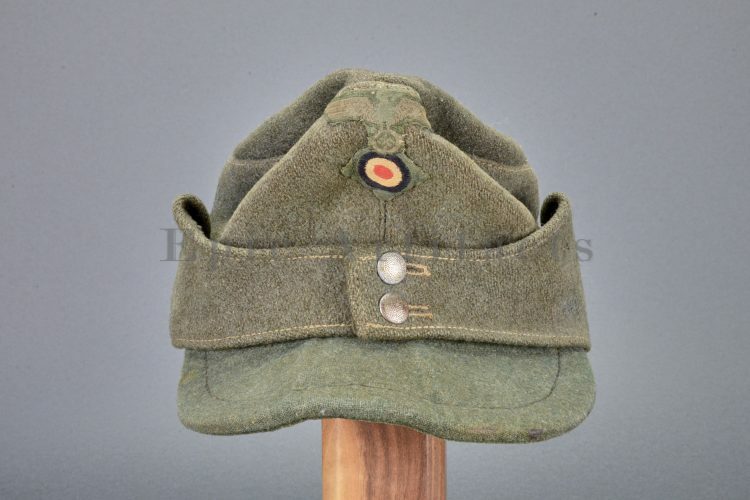 Late-war issued examples like this, that have a field worn look appropriate for a combat display, are particularly hard to find. 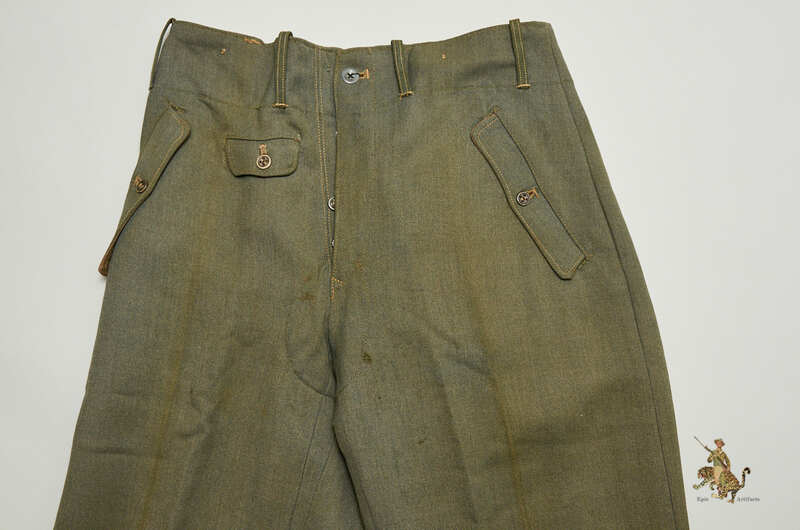 These Heer M44 trousers are a very desirable pair.